This event is for mixed teams (both boys and girls), but there are no requirements for having a set number of players from either gender on the field at the same time. Teams are encouraged to play both girls and boys as they are able, but the opposing team will not be required to have the same gender ratio on their line. For example, if your team has 2 girls on the field, the other team can play with 1, 3 or no girls on at the same time. Middle school teams interesting in participating need to fill out this survey ASAP - please fill out the survey even if you are still undecided. If you are not a USAU approved chaperone, then you will need to become one -- an official chaperone is required for each team for a USAU youth event. This requires a background check, which can take up to 2 weeks to process, and a certification in Safe Sport so please don't wait to get this done. There is also a $21.50 fee for the background check (which will be good for 2 years). Click here for further instructions for chaperones. $250 tourney fee is due. This fee is to hold your team's place in the event and to reduce 'no shows'. This fee also serves as a deposit for your first 10 players; if you have fewer than 10 players you will get a refund, and if you have more than 10 you will owe the remainder on the day of the tournament. 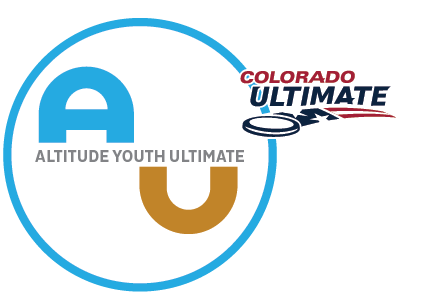 Scholarships for participants who need help with the player fee can often be provided; please contact Jeff (jeff@altitudeyouthultimate.org) to arrange details. You can pay via check or by credit card online. We will alert all survey respondents with details when we are ready to accept payments. Have all your players pay for affiliate memberships ($13/year per player) only if they are not members already – if they have played in a USAU sanctioned tournament or league within 2019, they are likely already members! Even with online rostering, all players will need to provide a paper med form on the day of the event. Med form found here! Players who have not rostered online will owe $25 the day of the event; fee for players who have rostered online is ONLY $10/player on the day of the event. A parent/guardian-signed paper waiver. Paper waiver found here! A paper Medical Form for each player on the team. Med form found here! Prices this Fall are $25/player who does not have an affiliate or USAU membership OR $10/player if already have an affiliate or USAU membership. This is due by the day of the event. You can do a combination of online rostering and paper rostering if absolutely necessary. For instance, you try and get everyone on the online roster but you have a few stragglers you need to add to your roster the day of the event.